With the huge number of resources at your disposal, selling online is easy. It’s possible to make money even when you don’t have a website. Case in point: selling on eBay. If you have items just sitting at home gathering dust and no longer being used, you can put them up for auction. The eBay website has allowed tons of people to earn money by selling items — both pre-owned and brand new. Although eBay, like many online and store front sites, is open to cyber-attacks — for example, hackers were recently able to get eBay user names, passwords, email addresses and birthdays of millions of users, according to Forbes — it could still be a good option for those who want to sell items online as long as they take the necessary measures to protect their data. But for those who aren’t willing to take a risk, there are other options. Facebook is a good one. Facebook is no longer just about connecting with friends. It has also become integral to businesses and you can learn how to sell online. Companies are now tapping into the social network’s immense reach to market their products. Just take a look at the number of ads displayed on the right side of your account. With billions of users, it makes a lot of sense to take your business in this direction. You can tap into a huge market and, with the right tools and strategies, enjoy seeing your bank account grow. Here are some ways you can use Facebook to sell. This is the obvious first step. You can’t sell products using your personal account because it’ll look a little unprofessional, and your customers would only be limited to your friends. But by setting up a business page, you’ll look like a legit business and can bite into a larger part of the pie. 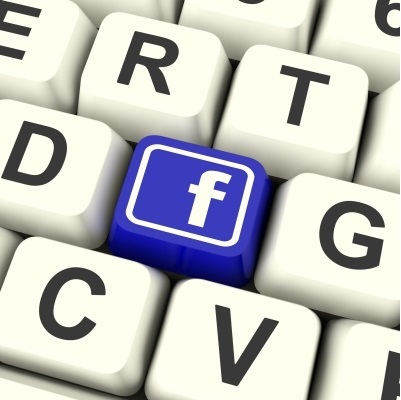 It’s easy to set up a Facebook page, and should only take a few minutes. There are online tutorials, that will help you get your page up and running quickly. When people go to your page, they’ll see the timeline with your most recent posts. That’s okay, but to have a stronger impact, it’s best to have a landing page. A landing page will tell customers how you can help them. You can use this to establish a connection with your customers. When done right, a landing page will make people view you as a person trying to help them, rather than as a business trying to sell them something. A study showed that Facebook performs better than other digital marketing channels in terms of conversions (65 percent). Highlight the benefits and how you can improve your customers’ lives. It’s important to not get so caught up in choosing the right shopping cart widget and other apps that you forget the simple things, like choosing the right cover photo. This photo will have a huge impact on your sales. Use shortened links for easier tracking. Create a strong call-to-action message. Your cover photo can be used to announce updates, promote your content and encourage email signups. Make sure to periodically promote your products on your page, but remember to do it right. Don’t just post a link and say “check this out.” Customers may not respond well to the hard sell. It’s more effective to put the link in a status so it doesn’t come off as a pitch. You can share a relevant blog post or industry news item, add a brief commentary and then put in your link. Make it sound natural. It’s okay to do a direct pitch once in a while as long as you have established social trust. Establish authority by knowing everything about your industry. Create social proof by using testimonials and feedback. Maintain a professional reputation online. Connect with industry leaders and influencers. Cultivate relationships by responding to user comments. Encourage discussion within your community. Your content needs to be compatible with all devices, and since most people access social network sites through mobile devices (smartphones and tablets) you must create mobile-friendly content. Facebook has 51.4 percent engagement on mobile devices, according to a survey conducted by Social Fresh. It just goes to show how important it is to pay attention to how your content is viewed by consumers. There’s only one rule on how to sell online and, sadly, it’s an open secret that many businesses forget this rule: give value to your customers. Always put your customers’ needs first. Prioritize helping people over making money. That may sound counterintuitive but you’d be surprised at how this can increase your profits. Related to "How to Sell Online Using Facebook in Five Easy Steps"